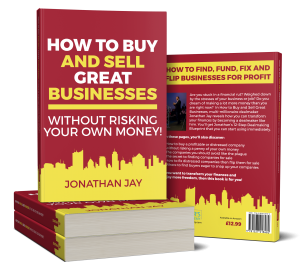 Hi, this is Jonathan Jay from the Dealmaker’s Academy with today’s tip on buying businesses. And the tip is, if it’s written down it becomes legitimate. Let me say that again, if it’s written down it becomes legitimate. Well, typically when you’re talking to a seller they will tell you about the business and the assets of the business, and they will put a value against those assets, they’ll say well we got the trucks that are worth this amount, we got the building that’s worth this amount, machinery that’s worth this amount. And they will be very bullish about those values, and typically the reason they’re bullish about the values is because they know deep down they aren’t worth as much as they’re telling you that they’re worth. Now, what you could do is you could get into a, an argument almost about what the value is. They say the value’s here, you say the value’s here, and you end up meeting in the middle, which is a really, really bad idea. 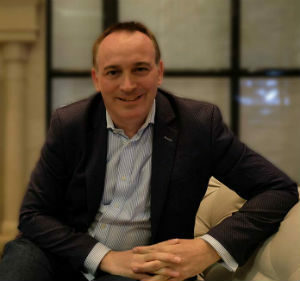 What you want is a third party valuer to value the assets, and typically valuers are quite prudent, they’re quite conservative, which is in your favour, and they value the assets, and they give you a written evaluation. So when the, you meet for the, the seller for the second or the third time, and they tell you again about the assets, and you say, well, look, I’ve actually had a valuer value the assets, and this is what we know they are worth. And you have a printed letter, or printed out the email, when it’s written down, it becomes legitimate. And then the valuer is on your side, a professional is on your side, and as a result it’s very, very hard for them to negotiate, and say that the value is worth more than what the valuer says. And of course, remember one of these other tips we’ve said, you walk away if the deal isn’t right. And if they don’t accept that evaluation, you don’t want to accept it either, simply because you will be overpaying. So, hit the subscribe button, you’ll get the next video. I’ll see you next time. Grow your business by acquisition and achieve more in one year than you would in ten years of organic growth. Read my new book to find out how. Copyright © 2019 The Dealmakers' Academy. All Rights Reserved.